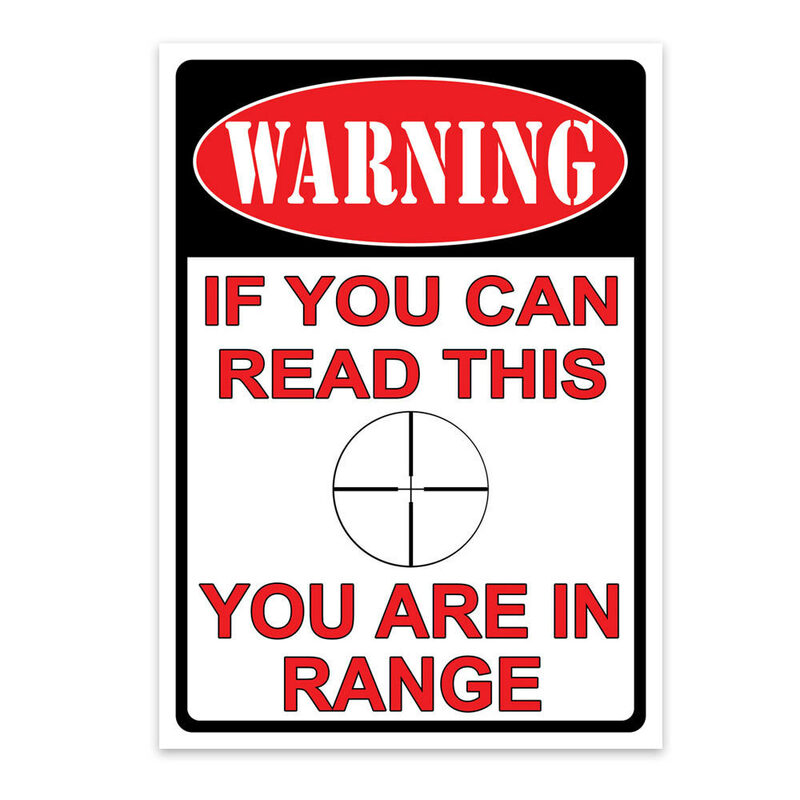 You Are In Range Tin Sign | BUDK.com - Knives & Swords At The Lowest Prices! Add a little classic charm to your home or property with this high quality decorative tin sign. It features rolled edges, an embossed design and a durable weatherproof finish. It is manufactured with a durable four color process that will stand up to all weather conditions and retain its vibrancy. 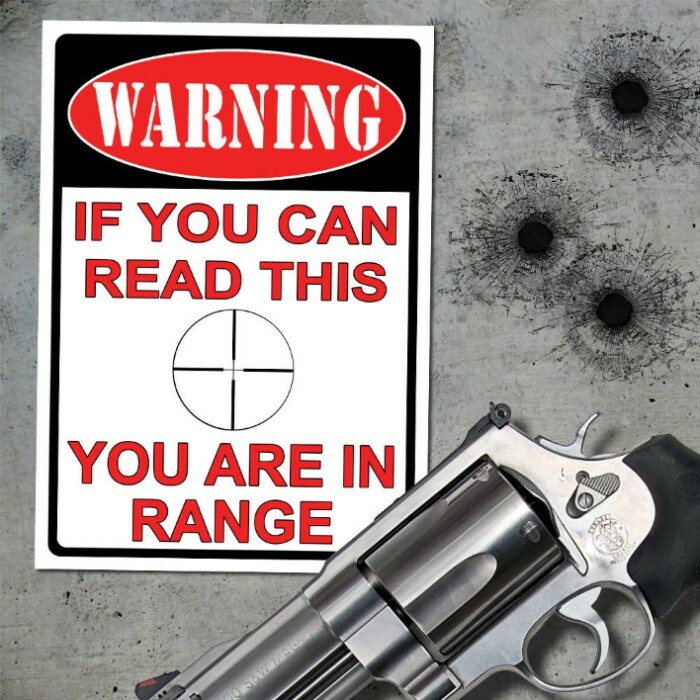 The sign includes pre-punched corner holes for mounting. Folks will definitely get the message you're sending with this sign! A high quality sign for the money. Fairly heavy metal with good quality graphics that will withstand the weather well. Fits perfect in the window next to front door. Keep it inside so some slimeball dont take it.